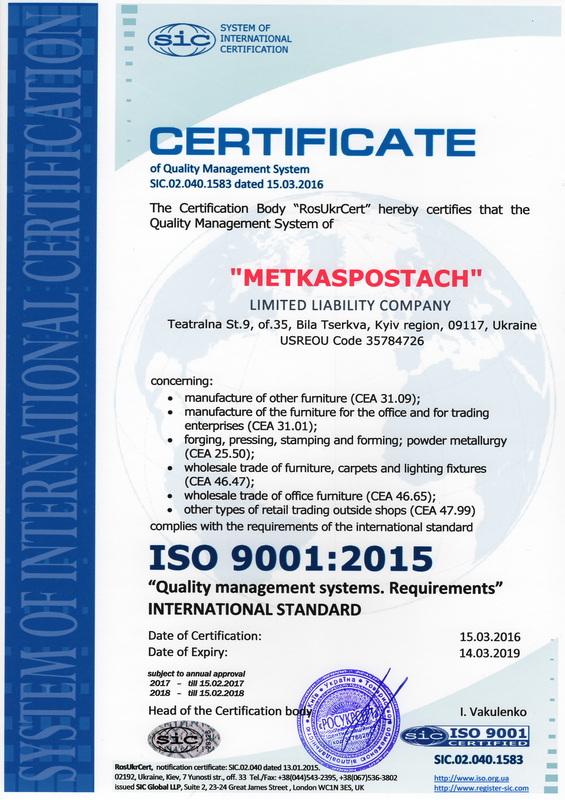 “Metkaspostach” LTD has successfully passed the certification process of the quality management system (QMS) and has obtained the certificate sic.02.040.1583 that corresponds to the requirements of the international standards series ISO 9001:2015. The process of the certification included the management system auditing and evaluation of the company performance effectiveness. The issued certificate states that business management is at a high level and is progressing successfully. ISO 9001 – is an international standard of the quality management system organization that grants the quality of the goods and offered services, favors the investment appeal, development of the personnel, partners and customers trust and products quality.